The Grass Valley LDX 86N (shown with fiber back) is now available, in association with 3rd parties, as a 4K/HiSpeed RF version. The EuroMedia Group (EMG) has selected LDX 86N 4K UHD RF cameras from Grass Valley to capture premier sports and live event coverage around the globe. The shoulder-mount cameras will form part of EMG’s upgraded, RF high-speed wireless solution, helping it to continue meeting consumer demand for higher quality and more in-depth content that the free-roving camera can provide. As broadcasters and media organizations take on the challenge of meeting shifting consumer demands, the ability to deliver richer, more engaging content across all platforms is critical. EMG chose Grass Valley to deploy lightweight LDX 86N4K HDR RF camera heads to optimize its existing RF wireless offering for 4K UHD. 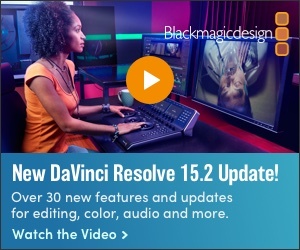 It is the industry’s only wireless, shoulder-mounted 4K RF head, offering EMG a single solution for transmitting HD, 4K and HiSpeed HD over the same link. LiveTools Technology, a subsidiary of EMG, has developed an integral transmitter module to be used with the new camera head. As one of Europe’s leading broadcast facilities and service providers, EMG is now able to deliver unmatched coverage of live events, such as international road cycling and marathons. 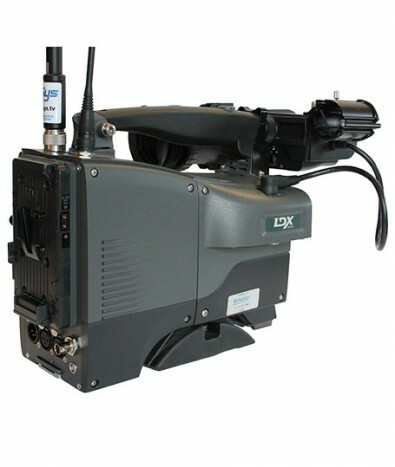 The LDX 86 RF with integral transmitter from VideoSys. The LDX 86N4K HDR RF camera is part of the LDX 86Nfamily of cameras, and has been specially designed to offer a shoulder mount camera for 4K and for high-speed HD applications where a compact wireless camera is needed. Grass Valley has a compact camera, the LDX C86N that is suited to Steadicam use with an external RF transmitter unit, but the LDX 86N4K HDR RF provides an alternative shoulder-mount camera with integral RF facilities. As the regular LDX86 camera doesn't have quad SDI outputs from the camera head and internal solution has been developed for 4K. The camera body replaces the fiber/triax rear module with a casing for a third-party transmitter. The RF rear module includes a Grass Vally interface card that converts the RGB signals used for fiber and triax into quad 3G-SDI to feed the transmitter. The use of quad SDI means that the camera can output 4K or HD plus three-phase high-speed HD to the transmitter, allowing the same 3x HiSpeed at 1080i or 720P as the fiber/triax versions of the camera. The LDX 86N4K HDR RF is supplied in partnership with a number of third-party RF specialists. So far, three vendors have solutions based on the camera: LiveTools Technology, VideoSys Broadcast, and Wave Central.